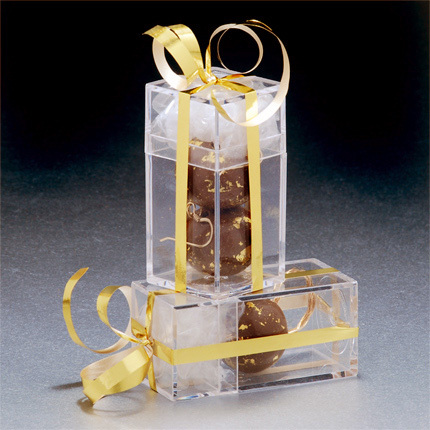 Ready for gift-giving, our edible earrings, ring or single necklaces come in this adorable clear gift box finished with shimmering gold ribbon. Cost of box is included in shipping charges. Available for all edible jewelry items, except the 9-ball necklace which comes in a white wendy mahr jewelry box (not shown).